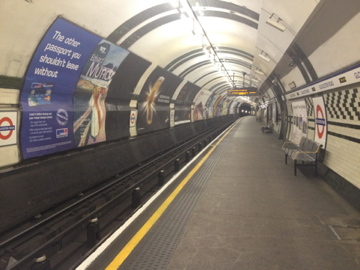 I had planned to save some money and catch the underground to Heathrow airport but after buying a one way ticket and dragging my luggage down a number of stairs I was amazed at how quiet it was. After the last 3 days of feeling like a sardine in a can at most underground stations, I was the only person to be seen. I initially put this down to being 6.30am on a Sunday morning, buy my concerns were heightened when I read an electronic sign saying that the first train to Heathrow will be at 7.30am. After some quick calculations, I soon realised that I was going to be late for my flight if I don’t find another form of transport. I dragged my luggage back to the surface and a kind Underground employee advised that I take a cab to Paddington Station and catch the Heathrow Express, so much fro saving money. I was soon at Paddington and presented the cab driver with my card only to be told that cabs in London only take cash. This seemed strange as a number of cabs that I has seen had credit card symbols advertised on their doors. Did I had enough pounds in cash, no. So he drove me to the nearest ATM and back and I was soon sitting on the Heathrow Express. The seat was really comfortable and there was hardly anyone in my carriage, which I initially also put down to being early on a Sunday until I noticed the First Class logo sewn into the expensive fabric. I noticed that there was 2 minutes left before we departed, so I quickly exited the first class cabin and found the one remaining seat left in cattle class. The highlight of the trip to Heathrow was having free wifi and finding out that my mighty Saints had beaten the Brisbane Lions. The trip to Cork was uneventful. 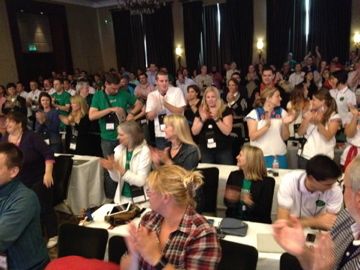 I recognised a number of ADEs (Apple Distinguished Educators) from Australia and together we caught the conference bus. 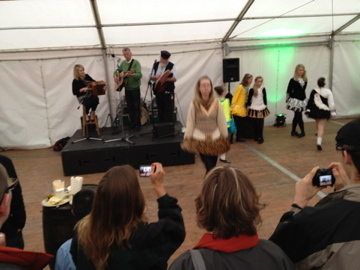 The conference is being held at Fota Island Resort in Cork. It is a beautiful venue, the ensuite in my room is bigger than my entire London accommodation. The opening to the conference was typically spectacular, so much preparation, time and money has been put into making it a success. We enjoyed a ‘Share Fair’ where each country had a table that displayed what is unique to them. 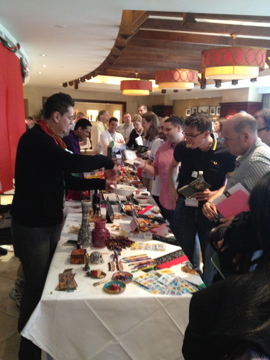 Mexico stole the show with a wonderful mix of food, colour and entertainment. 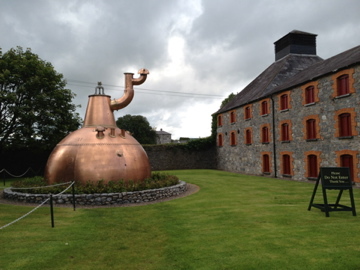 Dinner was at the historic Jamison’s Irish Whiskey Factory. 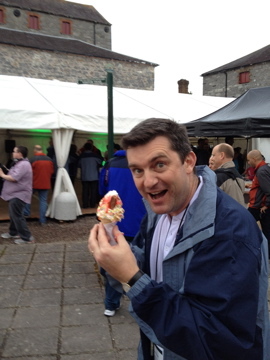 After a tour of the factory we enjoyed a BBQ, Wood Oven Pizzas, and Ice Cream van and Irish music and dancing. A great way to start the week.